Very simple, delicious and energy-balanced fruit cup without chemicals and stabilizers. 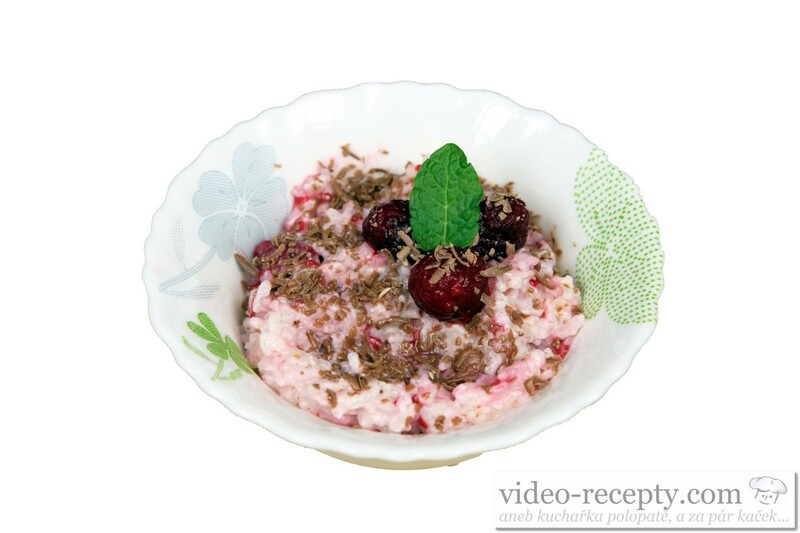 Rice cup with raspberries will start cooking the rice in a rice cooker or a common pot. 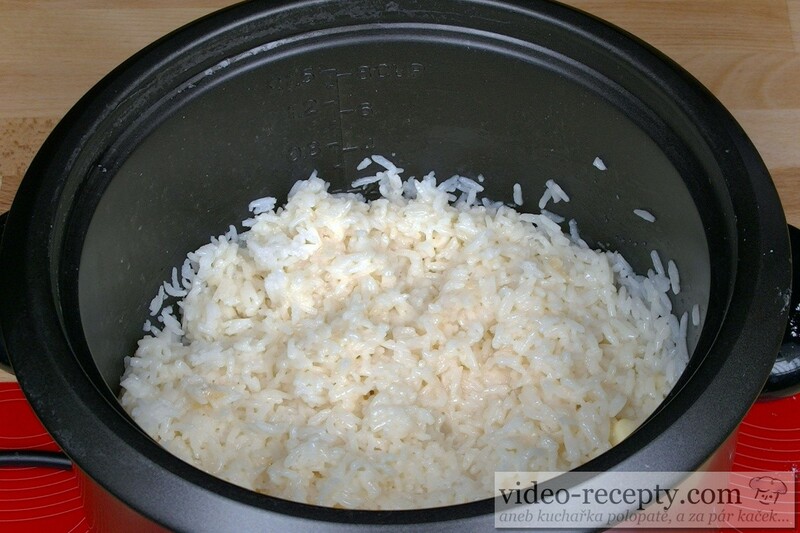 In the rice cooker put 280 g of rinsed rice, pour 340 ml of water and turn it on. 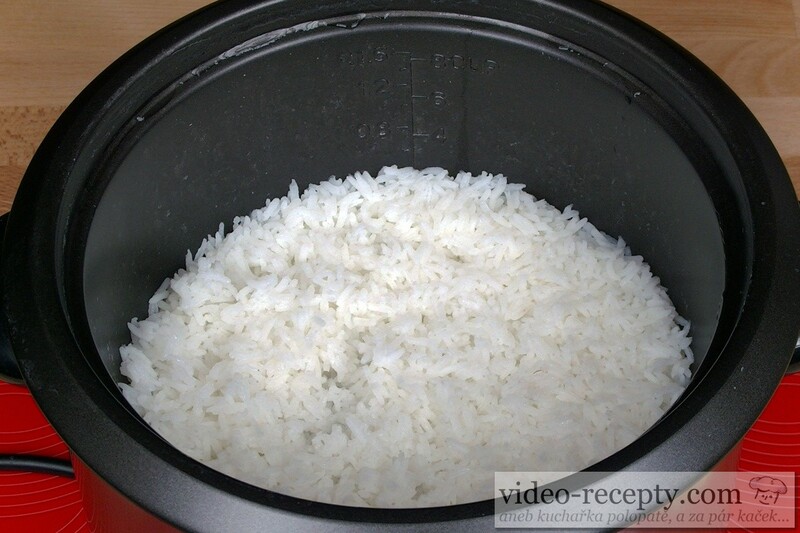 Rice in the rice cooker is cooked by itself. If you use a normal pot and you do not know how to do it , then use 280 g of rinsed rice, 500 ml of water and 1/8 teaspoon of salt. Cook very gently until the rice is soft. Then pour away the remainding water. 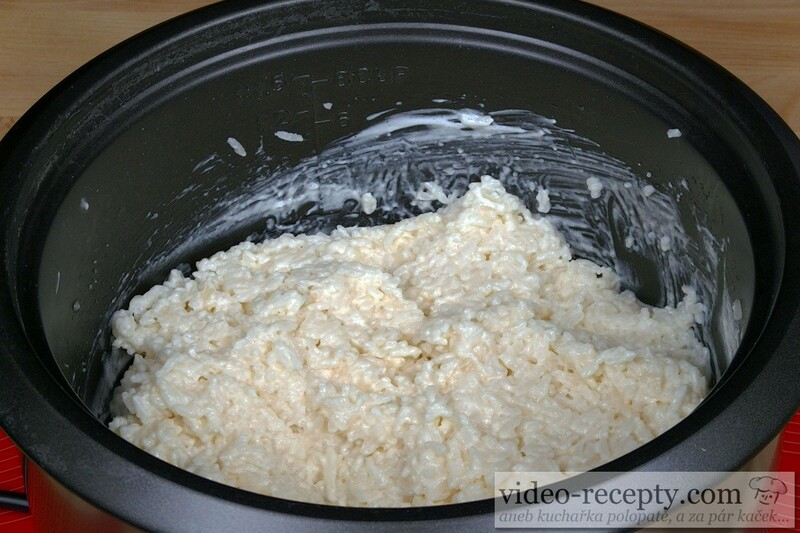 In just cooked hot rice add vanilla sugar, 20 g softened butter, 2 heaping tablespoons of powder sugar, 100 ml condensed milk and stir. Cover with a lid and let the butter melt. 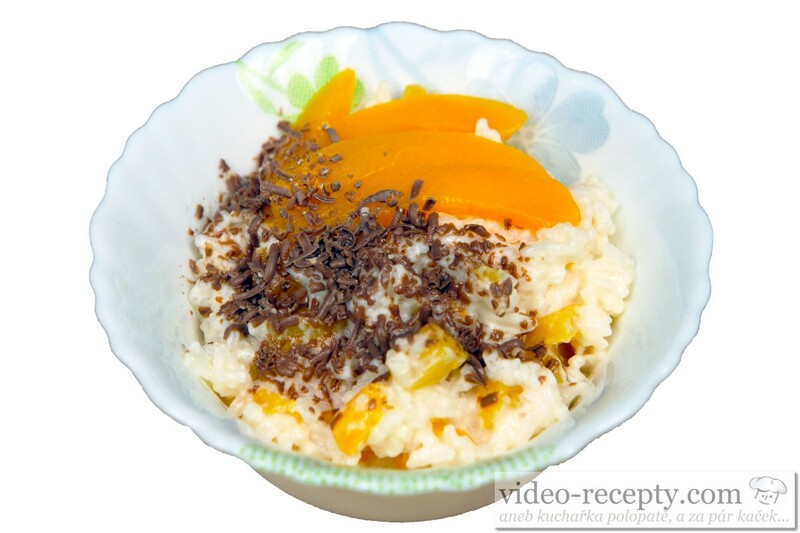 In a bowl, mix 2 tablespoons of sour cream, add a tablespoon of powder sugar and mix into the rice. After 5 minutes is ready to serve. In a cup put a few raspberries, add about two heaping tablespoons of hot sweet rice and garnish with raspberries. Sprinkle with grated chocolate, cocoa or cinnamon. 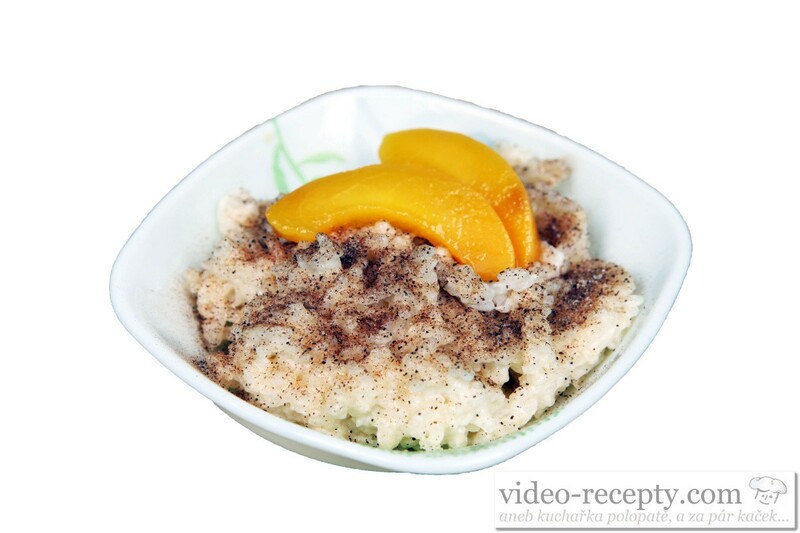 If we prefer warm sweet rice, then warm it in a microwave. We can use any fruit compote, including pumpkins. Are you discouraged by the price of this cake? In January 2014 in the center of Prague we have seen the same weight tiramisu for 1,000 crowns. 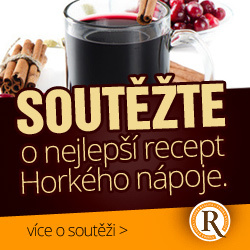 Do you still find our recipe expensive? In addition, you'll know exactly what it contains and you can perhaps make a smaller portion. These ingredients are caunted on a really big cake. | This delicious cake is not intended for long-term storage because of the fresh eggs it contains. So make it always a fresh one and store it in the refrigerator up to 24 hours.